Haryana Police Recruitment Board (HPRB) has issued a recruitment notification to recruit Constable Posts. Candidates who are eligible and who want to become a police they can apply online mode before last date. 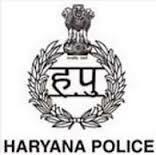 Candidate also check other details related to Haryana Police Constable Recruitment 2015 like how to apply, selection process, syllabus in Hindi, Running Race, Height, Events Dates, Admit Card Download, Chest, Previous Question Papers, Model Papers, Sample Papers, Application Fee, Salary, Books, Study Material and more details check in the official site of HPRB.